A Proclamation by the President of the United States of America “Through the generations, America’s men and women in uniform have defeated tyrants, liberated continents, and set a standard of courage and idealism for the entire world. On Veterans Day, our Nation pays tribute to those who have proudly served in our Armed Forces To protect the Nation they love, our veterans stepped forward when America needed them most. In conflicts around the world, their sacrifice and resolve helped destroy the enemies of freedom and saved millions from oppression. In answering history’s call with honor, decency, and resolve, our veterans have shown the power of liberty and earned the respect and admiration of a grateful Nation. Wit h respect for and in recognition of the contributions our service men and women have made to the cause of peace and freedom around the world, the Congress has provided (5 U.S.C. 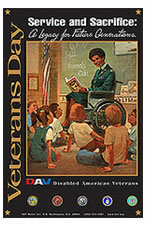 6103(a)) that November 11 of each year shall be set aside as a legal public holiday to honor veterans. In Oregon, the Afghan Iraqi Freedom War Memorial (an early rendering above) is being dedicated Saturday in Salem to honor the Veterans from Oregon who have served in the war; some of whom have given their lives. The word ‘war’, however, has been removed from the the monument. Clay and MJ Kesterson, whose son Erik, a helicopter pilot, was killed in Iraq (beginning his military career in the Marines and re-upping in the Army after 9/11) wanted to make sure that all veterans of the war would be honored at the time they served. If the Iraq war dragged on and became more and more unpopular they didn’t want Oregon vets to be treated the way Clay had been when he came back from Vietnam–like dirt– and be forced to wait years for Americans to finally appreciate their sacrifice by erecting a monument. Thanks to Fallenheroesmemorial.com for this image. But some Gold Star families, the relatives of soldiers slain in the current wars, object to the monument’s design, timing and what they believe is its political message. Some lawmakers who voted for it now regret their decision. Even some supporters believe the memorial’s approval process was flawed. The other day a man emailed me after he’d helped out at the monument and said the Oregonian was preparing a hit piece on the memorial again. He said the paper was purposely incorrectly measuring another monument to make it appear as if the Afghan Iraqi Freedom War Memorial was the largest in scale. 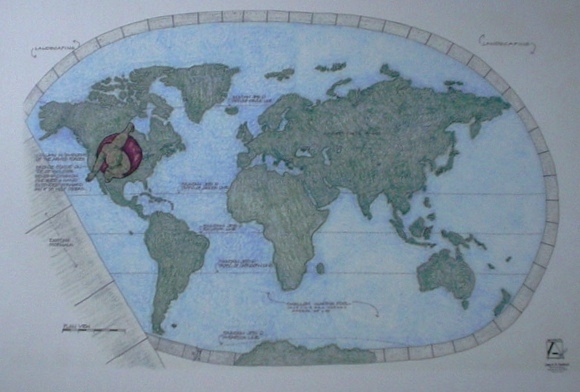 He said the Medal of Honor Memorial includes five huge trees which the paper failed to take into consideration. In point of fact, he added, the new memorial is the third largest on the Salem capitol grounds. Some folks are upset that the monument doesn’t have an anti war bent. Sorry, no sale. Some don’t like the design. Fair enough. But most are upset that the Kestersons were so dogged in their pursuit of this memorial that they ramrodded it through before the Oregon intelligentsia had an opportunity to pillory it or ‘properly’ comment in their view. I just stand in awe that the Kestersons got this through at all. A note to the ‘we know better than you crowd’ sometimes God loving, anti-bad guy, types really do know better than you. MJ and Clay: you just keep on keepin’ on. We’ve got your back. The following are Oregon and Washington’s fallen heroes, some of whom died in combat, others in the theatre of war in accidents, and all of whom were willing to fight for their country and the freedoms it can offer to other countries. Thanks to Fallen Heroes Memorial for the following information. Army Spc. Joseph M. Blickenstaff, 23, of Corvallis, Oregon. Marine Cpl. Travis J. Bradachnall, 21, of Multnomah County, Oregon. Marine Capt. Aaron J. Contreras, 31, of Sherwood, Oregon. Army Staff Sgt. Kevin D. Davis, 41, of Lebanon, Oregon. Army Sgt. Justin L. Eyerly, 23, of Salem, Oregon. Marine Lance Cpl. James B. Huston, Jr., 22, of Hermiston, Oregon. Army Sgt. Benjamin W. Isenberg, 27, of Sheridan, Oregon. Army Spc. David W. Johnson, 37, of Portland, Oregon. Army Spc. Robert L. Jones, 22, of Milwaukie, Oregon. Marine Lance Cpl. Bryan P. Kelly, 21, of Klamath Falls, Oregon. Navy Hospitalman Aaron A. Kent, 28, of Portland, Oregon. 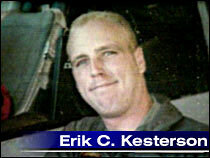 Army CWO Erik C. Kesterson, 29, of Independence, Oregon. Navy Petty Officer 2nd Class Marc A. Lee, 28, of Hood River, Oregon. Army Pfc. Ken W. Leisten, 20, of Cornelius, Oregon. Army Spc. Justin W. Linden, 22, of Portland, Oregon. Army Cpl. Jeremy M. Loveless, 25, of Estacada, Oregon. Army 1st Lt. Erik. S. McCrae, 25, of Portland, Oregon. Army Spc. Eric S. McKinley, 24, of Corvallis, Oregon. Army Sgt. David A. Mitts, 24, of Hammond, Oregon. Marine Cpl. James L. Moore, 24, of Roseburg, Oregon. Army Sgt. Travis A. Moothart, 23, of Brownsville, Oregon. Army Spc. Nathan W. Nakis, 19, of Corvallis, Oregon. Navy Petty Officer 3rd Class Marcques J. Nettles, 22, of Beaverton, Oregon. Marine Lance Cpl. Randy L. Newman, 21, of Bend, Oregon. Army Sgt. John B. Ogburn III, 45, of Fruitland, Oregon. Army Sgt. Adam J. Plumondore, 22, of Gresham, Oregon. Army Pfc. William C. Ramirez, 19, of Portland, Oregon. Marine Lance Cpl. Bob W. Roberts, 30, of Newport, Oregon. Army Spc. Ricky W. Rockholt, Jr., 28, of Winston, Oregon. Army Spc. Philip G. Rogers, 23, of Gresham, Oregon. Army Sgt. Jacob M. Simpson, 24, of Ashland, Oregon. Army Staff Sgt. Robert A. Stever, 36, of Pendleton, Oregon. Army Maj. Steven W. Thornton, 46, of Eugene, Oregon. Army Spc. Brandon S. Tobler, 19, of Portland, Oregon. Marine Lance Cpl. Tyler J. Troyer, 21, of Tangent, Oregon. Army Pfc. Thomas L. Tucker, 25, of Madras, Oregon. Marine Lance Cpl. Gary F. VanLeuven, 20, of Klamath Falls, Oregon. Army Spc. Ryan D. Walker, 25, of Stayton, Oregon. Army Sgt. 1st Class Mark C. Warren, 44, of LaGrande, Oregon. Army Staff Sgt. David J. Weisenburg, 26, of Portland, Oregon. Army Spc. Christopher J. Rivera Wesley, 26, of Portland, Oregon. Army Pfc. Kevin S. K. Wessel, 20, of Newport, Oregon. Army Spc. Chase R. Whitham, 21, of Oregon. Army Staff Sgt. Michael S. Zyla, 32, of Elgin, Oregon. Army 1st Lt. Michael R. Adams, 24, of Seattle, Washington. Army Spc. Robert T. Benson, 20, of Spokane, Washington. Marine Staff Sgt. Marvin Best, 33, of Prosser, Washington. Marine Cpl. Joseph P. Bier, 22, of Centralia, Washington. Marine Lance Cpl. Cedric E. Bruns, 22, of Vancouver, Washington. Army Staff Sgt. Christopher Bunda, 29, of Washington. Army Staff Sgt. Michael L. Burbank, 34, of Bremerton, Washington. Marine Pfc. Cody S. Calavan, 19, of Lake Stevens, Washington. Army 1st Lt. Jaime L. Campbell, 25, of Ephrata, Washington. Marine Lance Cpl. Daniel Chavez, 20, of Seattle, Washington. Navy Petty Officer 1st Class Regina R. Clark, 43, of Centralia, Washington. Army 2nd Lt. Benjamin J. Colgan, 30, of Kent, Washington. Marine Sgt. Jason Cook, 25, of Okanogan, Washington. Air Force Staff Sgt. Casey Crate, 26, of Spanaway, Washington. Army Sgt. Jacob H. Demand, 29, of Palouse, Washington. Army Spc. Christopher W. Dickison, 26, of Seattle, Washington. Army Spc. Blain M. Ebert, 22, of Washtucna, Washington. Army Sgt. Damien T. Ficek, 26, of Pullman, Washington. Marine Lance Cpl. Kane M. Funke, 20, of Vancouver, Washington. Army Pfc. Devon J. Gibbons, 19, of Port Orchard, Washington. Marine Pfc. Jason Hanson, 21, of Forks, Washington. Army Spc. Justin W. Hebert, 20, of Arlington, Washington. Army Spc. Jacob R. Herring, 21, of Kirkland, Washington. Army Sgt. Curt E. Jordan, Jr., 25, of Green Acres, Washington. Army Spc. Eric D. King, 29, of Vancouver, Washington. Army Sgt. 1st Class Steven M. Langmack, 33, of Seattle, Washington. Army Pfc. Duane E. Longstreth, 19, of Tacoma, Washington. Army Sgt. Charles E. Matheny IV, 23, of Stanwood, Washington. Army Staff Sgt. Tracy L. Melvin, 31, of Seattle, Washington. Army Sgt. 1st Class Lawrence E. Morrison, 45, of Yakima, Washington. Army Sgt. Justin D. Norton, 21, of Rainier, Washington. Marine Lance Cpl. Caleb J. Powers, 21, of Mansfield, Washington. Marine Capt. Gregory A Ratzlaff, 36, of Olympia, Washington. Marine Sgt. Yadir G. Reynoso, 27, of Wapato, Washington. Marine Staff Sgt. David G. Ries, 29, of Clark, Washington. Marine Cpl. Steven A. Rintamaki, 21, of Lynnwood, Washington. Army Spc. Jonathan J. Santos, 22, of Whatcom, Washington. Army Spc. Jeremiah W. Schmunk, 21, of Richland, Washington. Army Pfc. Kerry D. Scott, 21, of Mount Vernon, Washington. Army Sgt. Jeffrey R. Shaver, 26, of Maple Valley, Washington. Marine Lance Cpl. Dustin L. Sides, 22, of Yakima, Washington. Marine Cpl. Jeffrey B. Starr, 22, of Snohomish, Washington. Marine Lance Cpl. Shane C. Swanberg, 24, of Kirkland, Washington. Marine Staff Sgt. Abraham G. Twitchell, 28, of Yelm, Washington. Army Staff Sgt. Christopher J. Vanderhorn, 37, of Pierce, Washington. Army Pfc. Andrew M. Ward, 25, of Kirkland, Washington. Marine Lance Cpl. Nathan R. Wood, 19, of Kirkland, Washington. Army Pfc. Curtis L. Wooten III, 20, of Spanaway, Washington.